She’s just a Barbie Girl in a Barbie World. This video by KeleFPV is unique and hilarious, plus the music behind it is legendary. That’s why he’s been dubbed an FPV Pilot to Watch for March, 2019. 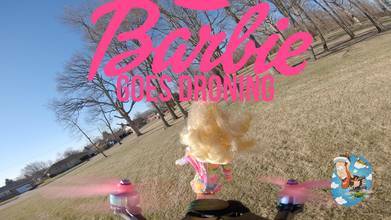 Barbie has an awesome time ripping through the trees, that is until she takes a dive thanks to a lone ghost branch. Poor Barbie; kids, don’t try this at home. Description: Took Barbie for a ride today.